37 years ago tonight, on Friday, February 8, 1974 “Good Times,” a spin-off from “Maude” premiered on CBS. The show starred Esther Rolle as Florida Evans, the role she had been playing on “Maude.” But while “Maude” was set in the New York City suburbs, “Good Times” took place in a Chicago housing project. The original premise of the series was to follow the trials and tribulations of a loving family that was struggling to make ends meet. But, as so often happens in television, one character stood out and, when fans responded, that character was given a larger presence in the show. 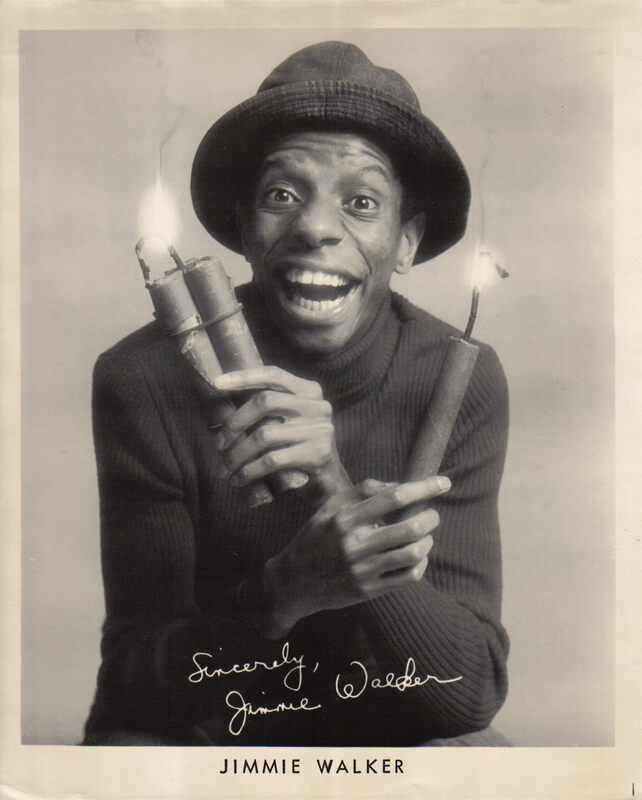 Jimmie Walker photo sent to fans in the 1970s. After 6 seasons (really 5 ½) and many cast changes, audiences had seen enough. The good times ended for “Good Times” in August 1979. By the way… coincidentally, Jimmie Walker opens tomorrow night (Wednesday, February 9th) at The Comedy Zone in Port Charlotte, Florida. Why not catch the show and wish him a Happy Anniversary for “Good Times.” He’ll be performing through Saturday night. Don’t forget to tip your waitresses.